We are proud distributors of Spray Paints, a unit of R.J. London Chemicals. 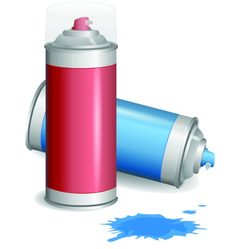 These spray paints are available in 400 ml Aerosol spray Cans which can cover an area of 25 Sq.Ft. Fast drying 100% Acrylic Epoxy paint especially for wood, metal and plastic. Widely used in Automotive, Handicraft, Arts & Crafts, Powder Coating, Fabrication and many more for touch-up applications. Available in more than 50 vibrant shades. DOTCOM Spray paints are available in all RAL shades and developed against bulk orders as per panel shades or RAL Shades. 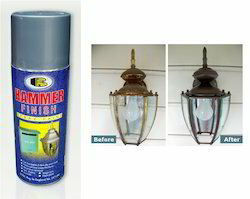 Specially formulated to add bright glowing colors to advertising signs, displays,sports equipment, etc. Can adhere to paper,metal, wood, glass and most plastic.Extra brilliance and reflectivity is achieved when applied over a base coat of white paint. 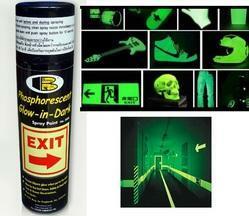 Gives painted objects highest glow and remain visible in the dark for hours. Suitable for makings of fire exit doors, emergency walkways, safety equipment, and obstructive structures. Painted objects will shine brightly during lights out. Other applications include underground tunnels, road signs,warning signs, theaters stage decorations, children toy & room decorations, bicycles, helmets, garages, switches,stairways, sport equipments, disco the que, dance floors, and etc. Packing: 1 x 6 cans. 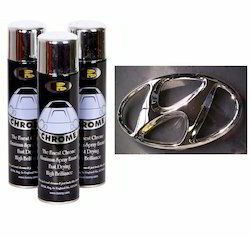 High quality chrome spray paint formulated with high technology to achieve super brilliancy that looks like chrome. Fast drying and easy to use. Gives brilliant chrome-like finishes. It is not real chrome, just looks like it. Excellent for use on car,picture frames, and around home. The color patterns on this chart are approximate only. Formulated with state-of- the- art light reflective materials to give painted object glittering looks just like real diamonds, while still showing the base color of the object underneath Suitable for cars, helmets, bicycles, toys, handicrafts, stage decorations, signs, and etc. Spraying on dark colored objects such as black or blue will give best 3 - dimensional effects. 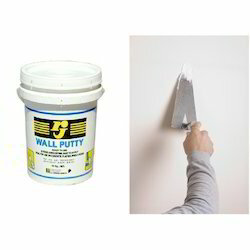 Specially formulated paint with unique hammer texture. 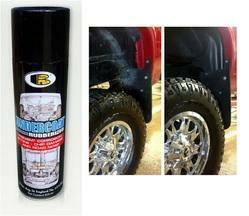 It provides long lasting protection to surface against rust and corrosion. The paint film is tough and highly durable. It can be applied on various objects such as metal, wood, stone, concrete, and etc. Ideal for use on safe, furniture's, mailbox, machinery's, toys, engine parts, and etc. Formulated from high-performance resin. Heat resistant up to 1200 F. It will not flake or peel off when exposed to High Temperature. For use on Stacks, Mufflers, Boilers, Heater, Jet Engines, Heat Exchanges, and other high Temperature Equipment. 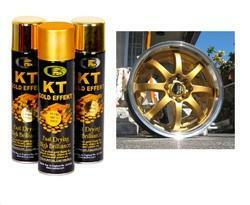 High quality spray paint specially formulated to achieve super brilliancy that looks like real gold. Fast drying and easy to use. Gives brilliant gold-like finishes. It is not real gold, just looks like it. Excellent for use on car, picture frames, and around home. Undercoat Rubberized Spray Paint is offered by us in bulk. 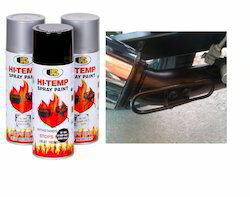 The offered Undercoat Rubberized Spray Paint is extensively used in industrial applications. 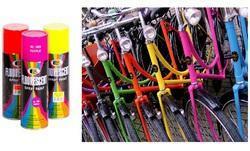 Further, the offered Undercoat Rubberized Spray Paint is manufactured by using good quality chemicals. Further, our products are highly appreciated for its quality and durability. We develop RAL 7032, 7035 and other mast moving industrial RAL Shades for OEM applications. We also provide heat resistant RAL shades against order. 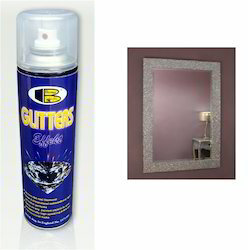 We stock RAL 7035,7032 and other RAL shades spray paint. These are widely used in the powder coating industry and OEM touch-up application. We also develop RAL shades against shade panel or sample. 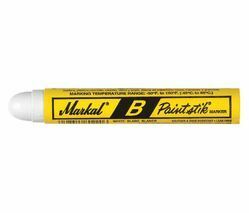 Real lead-free paint in stick form; combines long-lasting durability of paint with ease-of-use of a crayon. Available in three sizes - standard 11/16", fine 3/8" and bold 1"
For use on metal, wood, plastic, concrete, rubber, glass, cardboard, and paper. Marks on smooth, rough, rusty or dirty surfaces and also marks through oil and water. High-quality acrylic lacquer in standard shades according to the RAL standard. Exact matching paintings and repairs of small damages in RAL colours. Specially for machines, engine parts, tools, all kinds of vehicles, steel furniture and much more. This assortment includes besides many RAL and special shades a glossy and a matt clear coat. We are supplying a high quality acrylic co polymer emulsion putty suitable for interior and exterior uses widely used in construction and projects. Our clients are assured of qualitative components as we ensure our entire range is corroborated by latest manufacturing technology together with premium raw material. 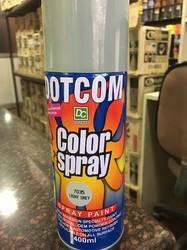 Looking for Spray Paints ?